OK so it’s been a while since I posted…sorry! But in looking at my calendar, it’s not my fault. It just turned out that way. Let me start by saying that this has to be one of the EASIEST recipes to date! Four ingredients, mix, pour, bake, enjoy! How super simple is that?! Mix all ingredients together well. 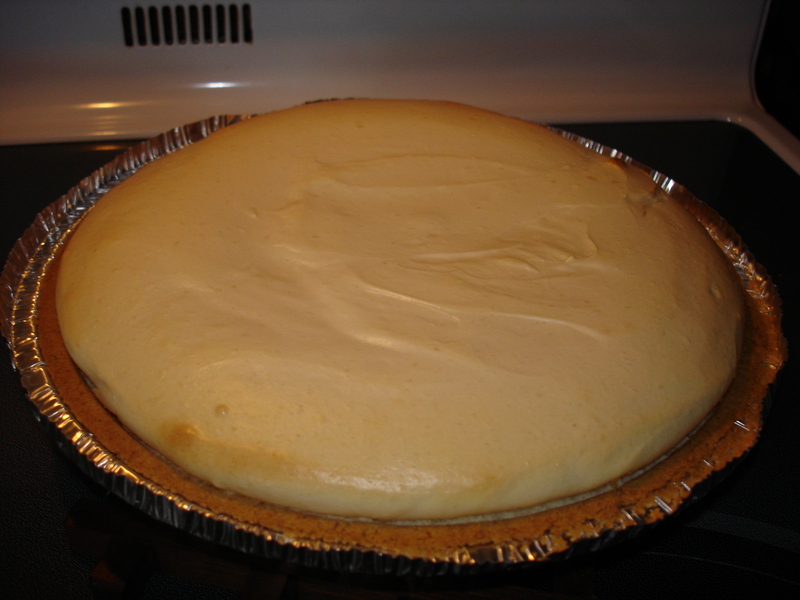 Pour into graham cracker crust and back at 350* for 30 to 40 minutes. That’s it! I made sure I mixed mine until smooth. 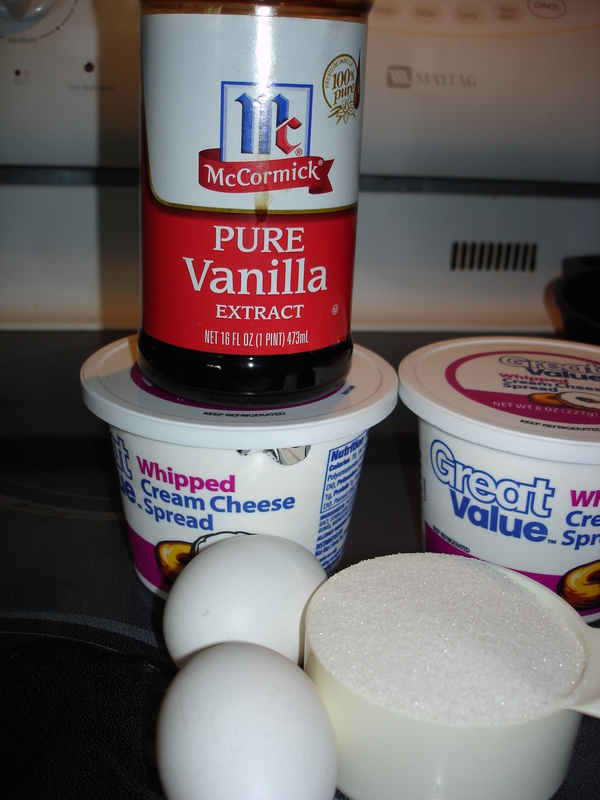 I didn’t want any rogue globs of cream cheese floating around! I also baked mine about 35 minutes. I set the timer for 30, heard it go off, and then kinda forgot about it until my son came to me and said, “Dah-puhr.” So, en route to change said “dah-puhr” on the boy, I remembered to take out the cheese cake. It turned out to be fine and a nice golden color on top. I even got the thumbs up from the hubs and cheese cake is one of his favorite desserts!